On Friday we had our first guest at the new apartment, so in honour of her visit I made feta and rosemary scones as well as chocolate chip and marshmallow cookies. I can’t tell you what a nice change it is to know that I can tell someone to come round in an hour and know that the place will be looking relatively tidy, rather than requiring a day’s notice before letting anyone through the front door to give me time to clean up all the mess that five cohabiting twenty-somethings create. I had been planning the feta and rosemary scones for a while, partly because they sounded delicious and partly because I have a pot of rosemary growing in the living room with little occasion to use it. However, the decision to make them on Friday was quite spontaneous, and as we are still living like animals without internet in the new apartment, I couldn’t look up a recipe online to follow. What I ended up doing was just throwing a load of ingredients together in estimated quantities, chopping up the rosemary and crumbling the feta. I say feta – what I actually had in the fridge was a cheap imitation. Could you tell? Yes. In fact, I don’t think I put enough of the ‘feta’ in, as you couldn’t really taste it. The rosemary was just about right, but the scones could have used some more (real) feta crumbled on top before eating to get the taste I had imagined. 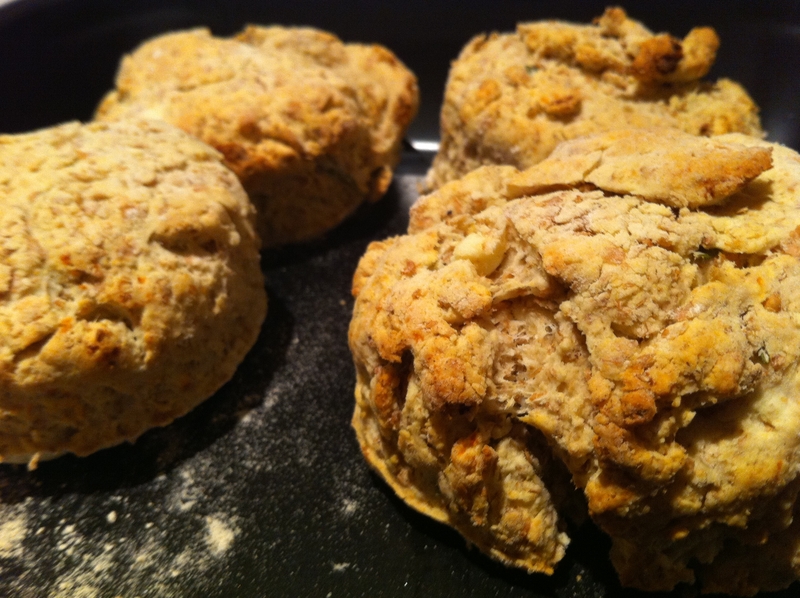 My advice to you if you’re thinking about making feta and rosemary scones? Here’s a photo of the scones, but after discovering confectionery blog The Broken Ganache today, I feel somewhat shamed by my lame attempts at food photography. Must try harder. 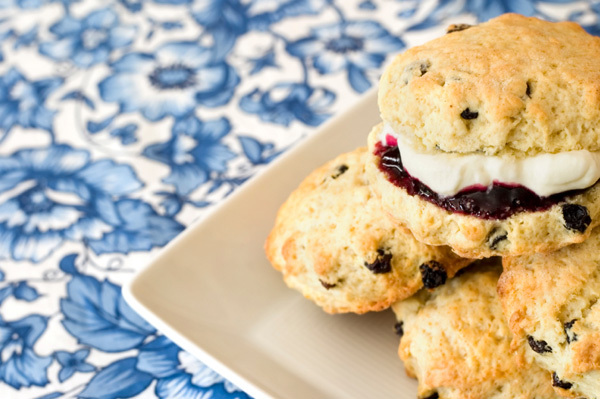 The idea of a savory scone sounds so good. I think these would be perfect with a bowlful of soup.